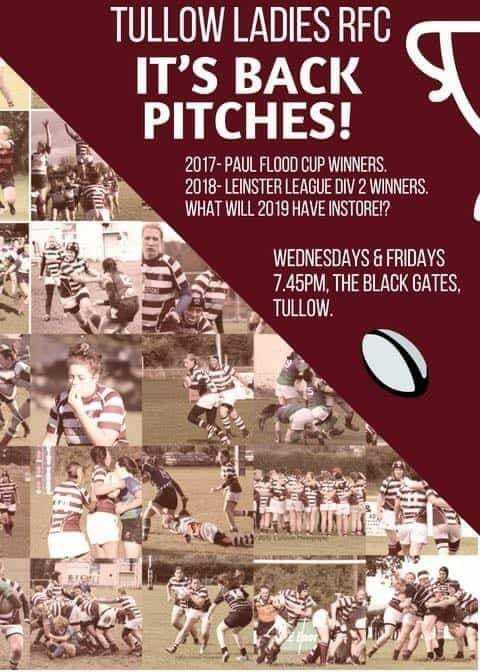 Come join Tullow Ladies, new players always welcome. Training starts Wednesday 22nd August. Any questions just pm this page.